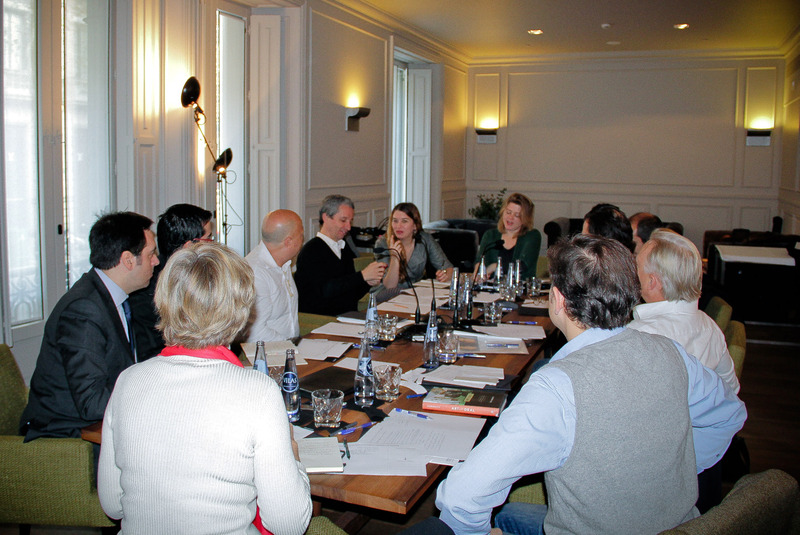 On 17 December 2012, a group of art professionals came together for the first time in Barcelona to prepare the second edition of the TALKING GALLERIES / BARCELONA SYMPOSIUM, to be held in 2013. The aim of the meeting was to identify the topics and panelists for the following Symposium and, more generally, to set up a general diagnosis of the art gallery sector as it is today, confronted with a rapidly changing world, through technology and globalisation, which is having a huge impact on the commercial environment in which art dealers operate. Some of the issues tackled over the meeting were: Why is TALKING GALLERIES a pertinent event? What can a meeting like TG make for the gallery sector? How can it help professionalizing the gallerist practice? What sort of issues should be approached in the next TALKING GALLERIES? How to bring in / incorporate outside discourses to the gallerist practice? What challenges are facing European galleries nowadays? Check the TALKING GALLERIES / BARCELONA SYMPOSIUM 2013 website to follow-up the conversations that were started at the Think Tank. Also intervening were Javi Creus (www.ideasforchange.com) and Christian Viveros-Fauné, writer and former gallerist.